Amazon, B&N, BAM, Book Depository (int'l), Google, Hudson Booksellers, and Indiebound. In stores September 2019 - pre-order now! Sold into slavery as a child in India, Mary Emmons was brought to an America torn by war. Toughened by the experiences of her young life, Mary is intelligent, resourceful, and strong. 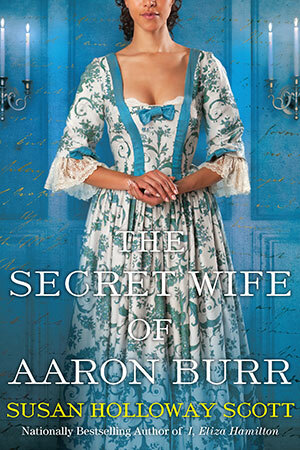 She quickly gains the trust of her new mistress, Theodosia Prevost, and becomes indispensable in a complicated household filled with intrigue—especially when the now-widowed Theodosia marries Colonel Aaron Burr. As Theodosia sickens with the fatal disease that will finally kill her, Mary and Burr are drawn together into a private world of power and passion, and a secret, tangled union that would have shocked the nation . . .